Have you ever browsed around a website, added an item to your cart, and then decided you didn’t want it? If so, you’re a member of the cart abandonment club. There are lots of us and we seem to love eating away at eCommerce sales. That’s why, in this post, we’re covering 5 cart abandonment stats you can use to help you win back those so-called “lost” sales. Shopping cart abandonment is the term used to describe when shoppers add products to an online shopping cart, but leave the site before they actually purchase the items. It’d be like going grocery shopping and just walking away from your cart while you’re deciding between Fruity Pebbles and Cinnamon Toast Crunch. 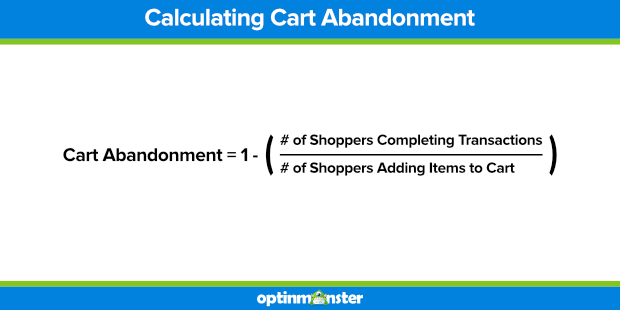 How Is the Cart Abandonment Rate Calculated? It’s simply 1 minus the total of the number of shoppers completing transactions divided by the number of shoppers adding items to their cart. 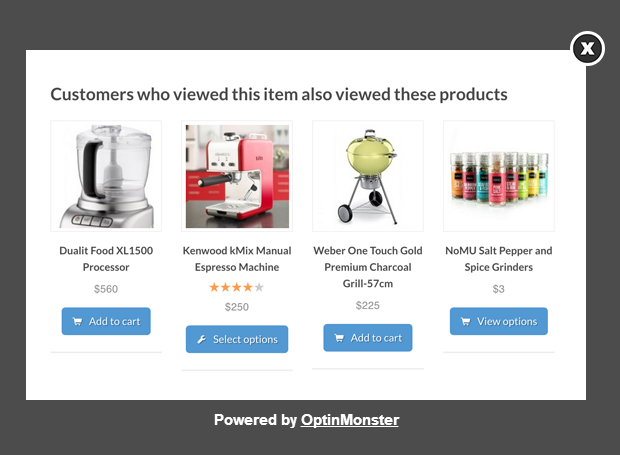 But, you know we love making things super easy here at OptinMonster. To that end, check out this post from MonsterInsights to learn how to track shopping cart abandonment with Google Analytics. Cart abandonment is a serious concern for anyone making sales online. And, even though the research shows this, it’s still hard to wrap our minds around the impact abandoned carts can have on eCommerce during a single year. For instance, did you know that in a single year cart abandonment is responsible for $4.6 trillion in lost eCommerce sales? How about that unexpected shipping, taxes, and fees are cited by 55% of shoppers as the reason they’ve abandoned carts in the past? Good information to have, right? And, not just to bring out at dinner parties to dazzle unsuspecting guests with your keen eCommerce expertise. When you know that cart abandonment accounts for THAT MUCH in lost sales, it tells you something: there’s still money out there to be won. A lot of it. Now, couple that with what you’ve just learned about why shoppers abandon carts. Free shipping might be a good way to get your hands on some of that $4.6 trillion. 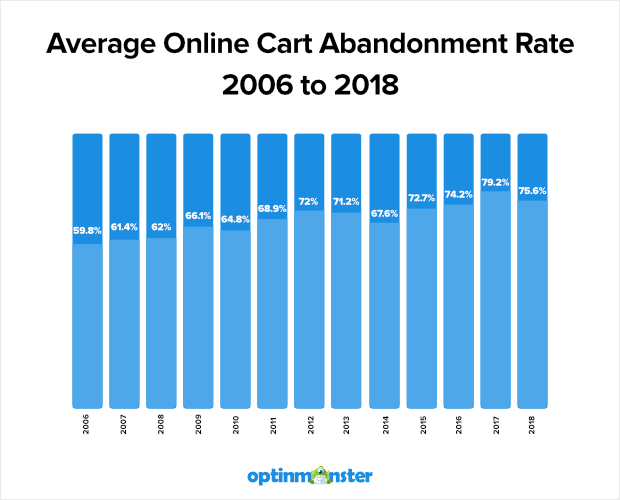 The average cart abandonment rate dipped a bit in 2018 (as of Q3), but it’s been on an upward trend since 2006. It’s currently around 76%. This means that 76 out of 100 shoppers are just walking – clicking, rather – away from their carts. Your average cart abandonment rate may not mirror this exactly; it varies depending on industry and products. But like we’ve said, if you sell something online, abandoned carts are something you’re going to want to track and address. Calculate your own abandoned cart rate to see how you measure up against others in your industry. Take an inventory of your marketing strategies without making a judgment about what’s working and what isn’t (you’ll figure this out later). Mobile browsing is hot. Mobile conversions are not. Sadly, it’s not because mobile users aren’t trying. They really want to use their phones to make purchases, but looking at cart abandonment stats by device you can see it just isn’t happening. 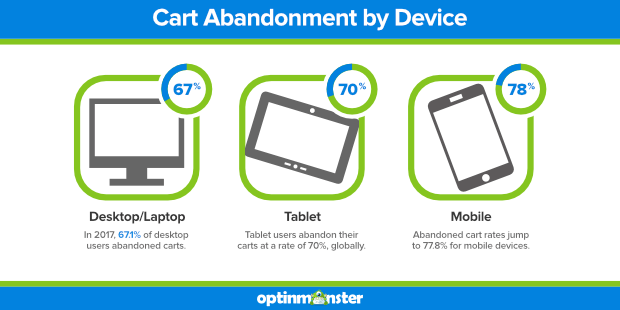 Abandoned cart rates for desktop and laptop shoppers were 67.1% in 2017 and went up to about 70% for tablet users. That 3% difference was nothing when you look at the abandonment rates for mobile users. Abandonment rates jump to 77.8% for mobile users. It’s not enough anymore to be “mobile-friendly.” Your eCommerce site needs to be mobile-first. Or, at the very least, optimized so that mobile users can complete purchases without having to switch to a desktop or laptop. Because many of them won’t. Your cart abandonment rate depends on your industry and the products that you sell. Industries with the highest cart abandonment rates are finance, nonprofit, and travel, with retail coming in fourth. 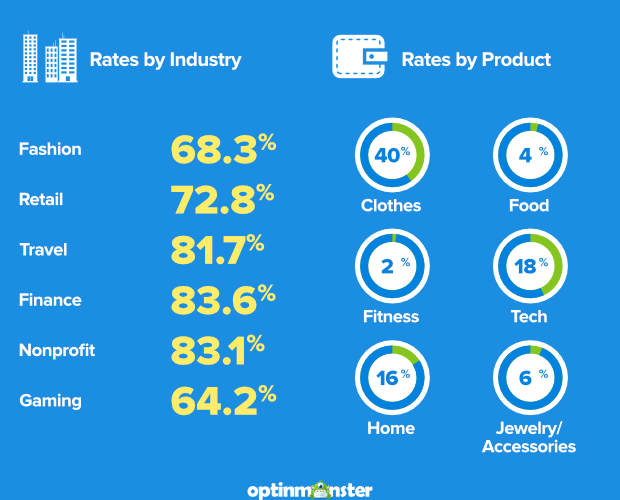 Clothing is the product with the highest abandonment rate, with tech, and home products rounding out the top 3. You can change your industry and the products you sell, but you probably don’t want to. That means that you need to find other ways to reduce cart abandonment and get your products moving. We don’t have to wonder why shoppers abandon carts. It’s not a secret of the universe – we have data. 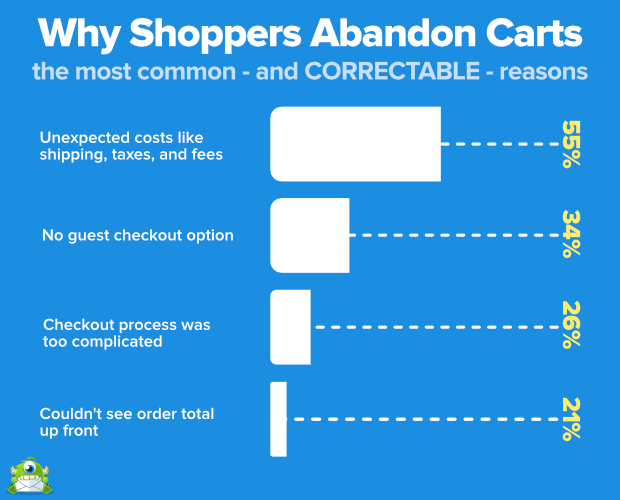 We covered the biggest reason that shoppers abandon carts early in this post: unexpected added costs like shipping. But did you know that shoppers will also abandon a cart because they have to create an account to complete their purchase? That’s right. 34% of shoppers will walk away from a purchase if there isn’t a guest checkout option. And, adding to checkout woes, 26% of shoppers will leave if the checkout process is too complicated. What do all of these cart abandonment reasons have in common? All of them, right down to “just browsing” is something you can address and correct for. Check out more proven ways to reduce cart abandonment. Dealing with shoppers who are just browsing or on the hunt for deals requires a bit more involvement, but it’s a lot of fun. 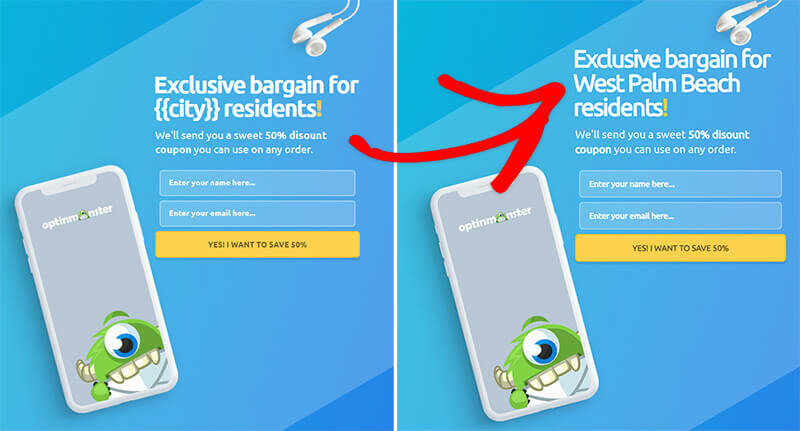 😎 And, you can reach both of these types of shoppers with a single OptinMonster feature: Exit-Intent®. Learn how to create your own campaign with exit-intent. Personalized campaigns can really help convert those “just browsing” shoppers into “just purchased” customers. Form abandonment is exactly what it sounds like: a user starts filling out a form on your site then abandons the form before completing and submitting it. There isn’t a lot of research around form abandonment. But, it’s likely that the majority of visitors abandon forms because the friction they experience filling it out isn’t worth what they’re getting in exchange. Basically, a visitor will probably be willing to give you their name and email address in exchange for your lead magnet. They probably won’t be willing to fill out a 3-page form that includes their address, phone number, and a survey requiring long-form answers for the same. If that lead magnet were a free car or even an entry to win a free car, you may see a different level of willingness to complete the form. When designing your forms, ask yourself what is the least amount of detail you need to make your offer worth it to you to give it away. Then, ask only for those details. Browser abandonment occurs when a visitor is clearly engaging with your site, comparing and viewing multiple products, and checking prices, then leaving the site without adding a product to the shopping cart. You could even say something like, “Not seeing what you want? Check these out!” to signal to the visitor that these are products related to the ones they’ve browsed already. There you have it: 5 cart abandonment statistics and easy ways you can use them to win back lost sales. 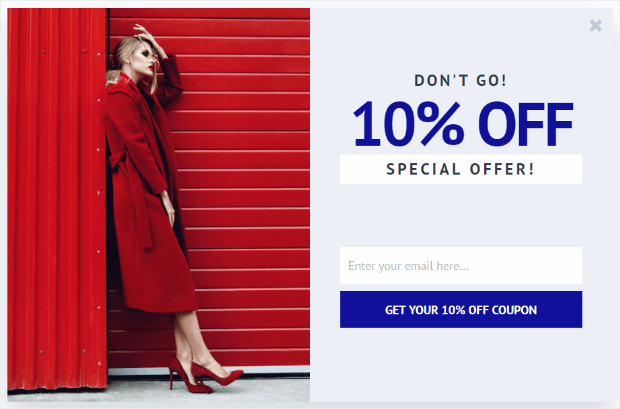 Now that you’ve got your abandoned cart reduction strategy in place, learn how to create an abandoned cart email strategy to recover the visitors that slip through. Be sure to let us know how your exit-intent strategy is working. It definitely worked for Fastrack. They recovered 53% of abandoning visitors using an exit-intent built with one of our professionally designed templates!